The Terre des Hommes International Federation (TDHIF) is a non-profit organisation according to Articles 60 and following of the Swiss Civil Code. The TDHIF has set up a structural model of autonomous organisations working together to achieve shared goals in accordance with common values and principles. It is a “family network”, whose members share the same name, use similar methods, and collaborate together as and when this adds value to their actions. 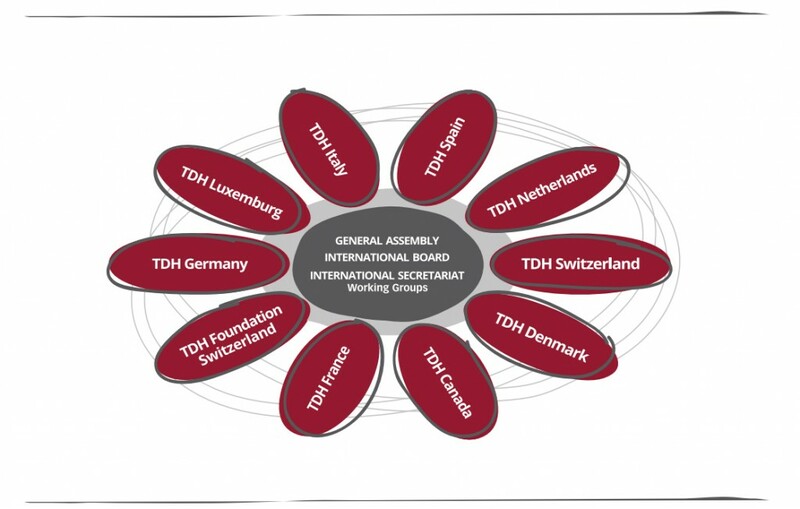 The TDHIF is composed of ten member organisations, located in Canada, Denmark, France, Germany, Italy, Luxembourg, the Netherlands, Spain and Switzerland (Terre des Hommes Foundation in Lausanne and Terre des Hommes-Switzerland). It functions through an International Secretariat (IS) based in Geneva, Switzerland, and in January 2002 it opened a European Union Liaison Office in Brussels. The IS ensures coordination among the Terre des Hommes organisations, and representation at international and European level. The General Assembly (GA), including all the member organisations, is the highest decision-making body. It meets once a year, defines the global vision and elects the International Board, which is responsible for implementing GA strategies and supervising the work of the International Secretariat offices in Geneva and Brussels. 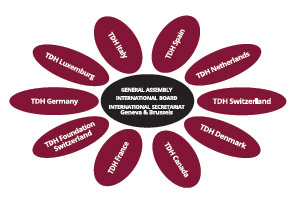 The TDHIF Chair, two vice chairs and the treasurer are appointed by the International Board.